June 27, 2018 | 11 a.m. The American public, advocacy groups and elected officials across the political spectrum are scrutinizing federal immigration detentions perhaps more intensely than ever before. The Trump administration's zealous crackdown on undocumented and even legal immigrants — which has included narrowing the path to asylum, separating children from their parents at the United States-Mexico border, and proposing a suspension of due process for deportees — has placed a spotlight on the facilities across the nation where federal officials hold people accused of violating immigration laws. Wisconsin is not among the 17 states known to host facilities where the federal government detains migrant children. The state does, however, have two facilities where U.S. Immigration and Customs Enforcement holds adult detainees: the Kenosha County Detention Center and Dodge County Detention Facility. Here's how each fits into broader federal immigration policy and practices. 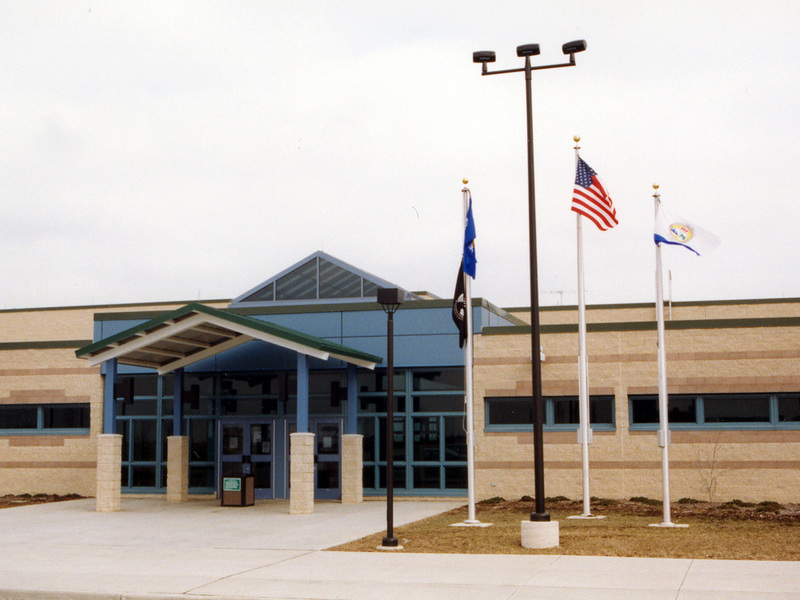 The Kenosha County Detention Center is located in Kenosha near Interstate 94 and the Kenosha Regional Airport. The Dodge County Detention Facility is situated on Main Street in Juneau. Both facilities serve mainly as their respective counties' jails, but are also part of a broad network of detention facilities across the continental U.S. that house ICE detainees. The Kenosha and Dodge county sheriff's offices operate and staff the facilities, respectively, managing a mix of immigrant detainees, other federal inmates and people incarcerated by local law enforcement. Many other detention centers around the country work the same way. Others are directly run by the federal government or by for-profit prison companies. Kenosha and Dodge counties don't contract directly with ICE; each county struck an agreement in the early 2000s with the U.S. Marshals Service, which tracks down federal fugitives and serves other functions as the enforcement arm of the federal judiciary. ICE essentially "piggybacks" on that agreement, said Capt. Robert Hallisy of the administrative services division of the Kenosha County Sheriff's Office. There aren't any federal staff working at either facility, though Hallisy said the Kenosha office keeps a couple desks open for federal agents when they are in the area. Federal officials also routinely inspect conditions at the facilities, which are supposed to meet ICE detention standards that cover everything from food to medical care to providing for detainees' religious practices. But because the Marshals Service also uses the jails, not all federal detainees there are immigrants. Whatever conditions these facilities are supposed to meet on paper, the realities of incarcerated life in the U.S., though, are often traumatic and squalid. A DACA recipient detained at Kenosha in January 2018 told the Chicago Sun-Times that he shared a cell with 16 other men and that "the food was 'so bad' that he chose not to eat on more than one occasion" during his three days in custody. A 2017 ProPublica report detailed the difficulties ICE detainees, including those at the Kenosha and Dodge facilities, face in getting adequate legal representation — or even keeping an appointment with a lawyer, as the agency frequently transfers inmates from one detention center to another on short notice. How many people are held at Wisconsin's immigration detention centers? The Kenosha County Detention Center consists of two buildings that together can house about 970 inmates, Hallisy said. Dodge County Sheriff Dale Schmidt said his facility can hold a total of 466 inmates. Both facilities house a mix of local detainees, immigration detainees, and other federal detainees, and people in the immigration system aren't the biggest portion of that mix. Hallisy told WisContext on June 20, 2018 that Kenosha was holding 166 immigration detainees that day. Schmidt, interviewed on June 22, reported having 188 immigration detainees in the Dodge County facility. These inmates represent a tiny fraction of the tens of thousands of people ICE detains in a given year, according to Freedom for Immigrants, an anti-detention campaign. Who is responsible for managing these facilities? ICE's Chicago field office runs the agency's enforcement and removal operations in Illinois, Indiana, Kansas, Kentucky, Missouri and Wisconsin, so both the Dodge and Kenosha detention centers fall under that its purview. Detainees from the Chicago area and elsewhere in those states can end up at one of Wisconsin's two facilities. (Another field office in St. Paul covers Iowa, Minnesota, Nebraska, North Dakota and South Dakota.) Media representatives from ICE did not answer a list of questions emailed to the agency for this story. A 2017 Denver Post investigation revealed that ICE has a history of arbitrarily transferring detainees from one facility to the next, sometimes in violation of the agency's own policies. This practice can take people thousands of miles away from their homes, which makes it difficult to stay in touch with family or receive legal representation. What impacts do these facilities have on local governments? The Kenosha and Dodge detention centers aren't run by for-profit prison companies, but working with the Marshals Service and ICE is a windfall for both localities. The Marshals Service pays each county a certain amount per federal inmate per day, and it adds up. Kenosha County's 2018 budget projects that the county will receive revenues of $5,846,600 for housing federal inmates. Dodge County's budget anticipates bringing in $7,062,750 from federal detention in 2018. Local officials in these counties aren't shy about the importance of that money. "I kid with my wife, who works in the hotel business, that it's kind of like a hotel," Hallisy said. "If they stay a night, we bill them." Hallisy said this money not only covers the county's costs in housing the federal inmates, but also helps hold down the amount it levies on taxpayers. "Otherwise, if we didn't have that $5 million in revenue, we'd be looking for sources in other areas," he said. One of Dodge County Sheriff Schmidt's predecessors, Todd Nehls, spoke with the Beaver Dam Daily Citizen in 2010 about the tens of millions of dollars the county has brought in through its role in immigration detentions. "We are absolutely running a business, and I'm proud to say we're running a business," Nehls told a reporter at the time. In a 2013 interview with Wisconsin Public Television's Here & Now, Nehls spoke about the families of inmates much as local officials often speak about tourists. Money people spend when they travel to visit incarcerated people, he said, "puts a little pulse in the local economy because these people, even though they're incarcerated there, they have friends and family from all over the Midwest coming to visit." These visitors spend money, he added, when they "stay in local hotels, buy gas, buy food at the local restaurants." Are these facilities detaining more immigrants under the Trump administration? The immigration detention business — and it is a business, dominated by private prison contractors — is booming under President Donald Trump. But Kenosha and Dodge county officials said the number of immigration detainees they hold has stayed fairly stable since ICE was created in 2003. Kenosha County Sheriff David Beth said in 2017 that he worried his jail would either get flooded with high numbers of detainees, or that the federal government would deport people more quickly, thus depriving the county of the money per-inmate-per-day that it's come to rely on. Neither of those fears have yet been realized. "We have never told immigration that we were full and couldn't accept more, and our numbers have been relatively stable," Hallisy said. In a pinch, Kenosha would still have to balance federal needs with local ones. "If we had a crisis where we arrested 1,000 people locally, we would have to tell immigration to send some of them to other facilities," Hallisy said. Nina Kravinsky translated this item into Spanish.